Capturing the moment of the baby’s introduction as part of the family is a time-honoured tradition in many households. 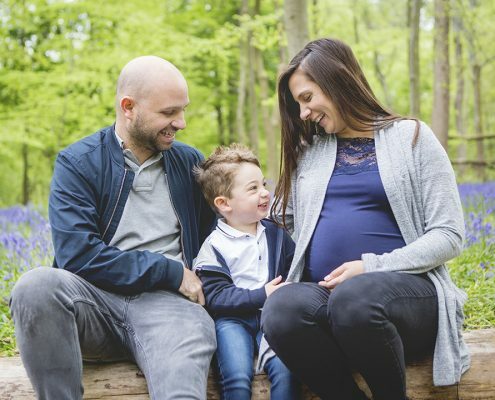 Today, having the baby photographed and even the expectant mother before the arrival of the child has become a popular trend that requires the services of the right newborn photographer Hertfordshire residents can trust. As a professional photographer, I have years of experience working with expectant mothers and families where the baby has recently arrived to take their photograph. Bump: If you are still expecting, I can create beautiful photographs in a natural setting such as your home or a location that is comfortable for you. I work with you to ensure that the planning session for your photographs goes smoothly so that you will enjoy the results. My goal is to have your relaxed and confident which will shine in the photographs that I take. You can view my Hertfordshire baby & newborn photography portfolio here. For most mothers-to-be, the best time for taking photographs is about 8 months into your pregnancy, so you should book my services as soon as possible. Newborn: Just like my photography sessions for expecting mothers, the ones I plan for babies are equally relaxed, laid back, and fun. I allow for plenty of time to take care of your baby’s needs, which includes changes, feeding, and a little snuggling so that you can be relaxed and enjoy the photography session. I schedule the right time to take the photographs in your home so that your family, including the baby, remain comfortable and relaxed. As experienced baby photographer Hertfordshire residents have trusted for years, I can say that the best time is when the newborn is within the first two weeks after arrival. While due dates can change, I suggest that you book while you are still pregnant, and I can make changes to the schedule if the baby decides to arrive at a different time. I offer excellent photography packages for those who are expecting and those that have just arrived which are designed to fit your budget while capturing this special moment. This includes three and four session packages that capture the first year of your baby, along with a bump and newborn package that showcases the special time before and after your baby has arrived. Please contact me through my website or over the phone and let me arrange the photography package that works best for your needs. From before the baby is born to the first two weeks, six months, and up to a year, I offer my services as a professional photographer to your family. As experienced newborn photographer Hertfordshire residents have used for years, I understand that this is a special time in your lives that needs to be preserved. My services are designed to provide a relaxed, natural setting that captures the magic that exists in the family during this wonderful time.